LOVE. Most of us are searching for it in some aspect of our lives. And it seems to hold so much power over us. Without love, we feel empty, like there’s a gaping hole in our chest. With it, we feel happy, fulfilled, even giddy, like we’re dancing on air. In our quest for love, what we’re really after is unconditional love. A love that doesn’t care if we’re having a bad hair day or our jeans are a little too tight. A love that stays with us through all the ups and downs. This is the love God meant for us to have all along, not just with each other but with Him. Not long ago, I was sitting in the Sunday morning service. Our Worship Pastor and his lovely daughter were singing a duet. You’ve probably heard the song before, it goes… Your love never fails, it never gives up, it never runs out on me. As I listened to them sing these beautiful words, God whispered in my ear, “You know My love is for you too.” Honestly, that broke my heart into tiny pieces. But somewhere along the way, I forgot that God’s love is for me too. Well, of course, I knew God loved me, I just set it aside temporarily and forged ahead. But God didn’t forget or set me aside. Instead, He pursued me and reminded me of His great love. The love I was always destined to have. God’s love is unconditional. It’s the love we’ve been looking for all our lives. His love meets us exactly where we are. It reaches down to scoop us up when we’re low. And when we’re soaring high, His love sails right along with us. 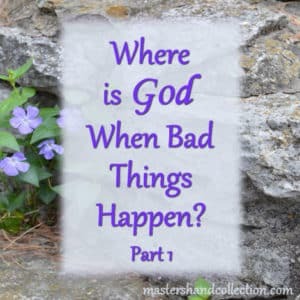 Because that’s who God is, a loving, caring Father we can always depend on, in good times and in bad. 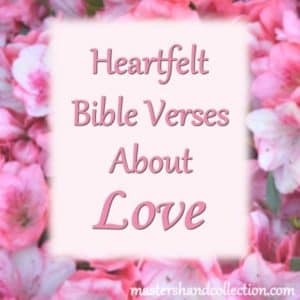 So, in honor of the author of love, I’ve put together a list of Bible verses about God’s Unconditional Love. I hope they will encourage your heart the same way they have mine. God, your God, is God indeed, a God you can depend upon. He keeps his covenant of loyal love with those who love him and observe his commandments for a thousand generations. 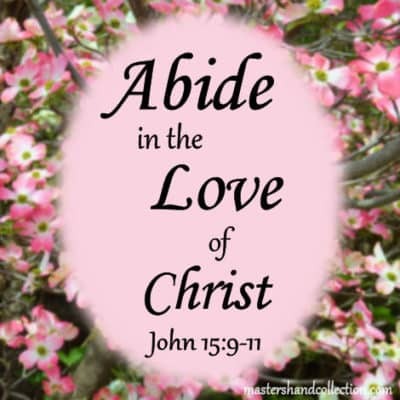 As the Father loved Me, I also have loved you; abide in My love. If you keep My commandments, you will abide in My love, just as I have kept My Father’s commandments and abide in His love. As these verses attest to, God’s love is faithful, steadfast, loyal and most of all unconditional. 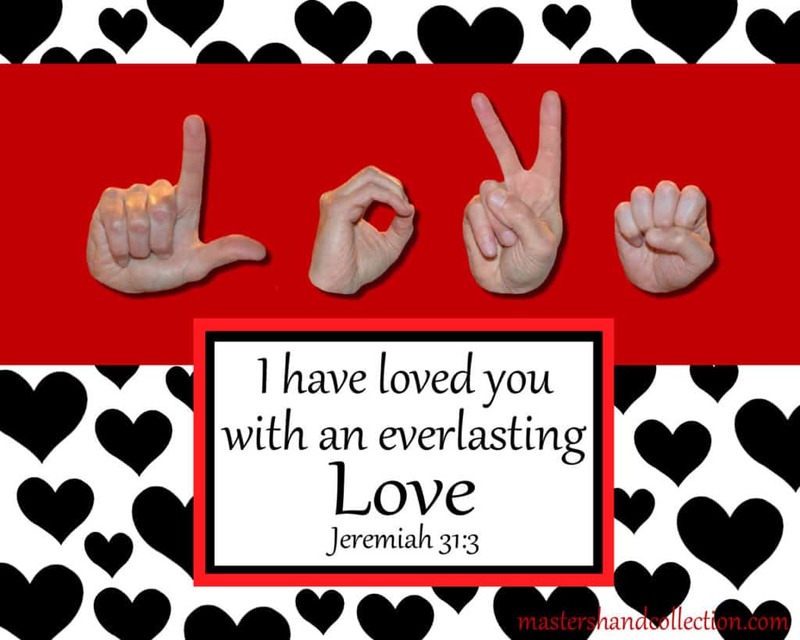 And God wants you to know He loves you with unconditional and unwavering love! Nothing will ever separate you from His love! Just like the song says… His love never fails, it never gives up, it never runs out on you. 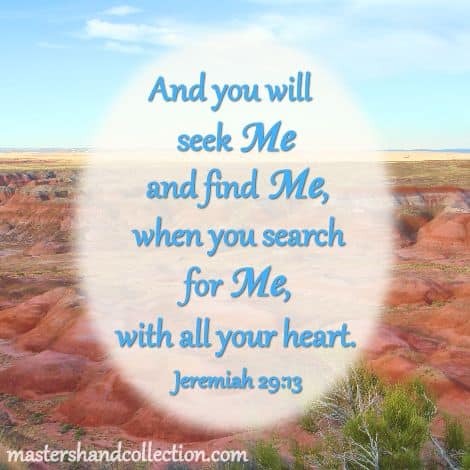 Are you ready to accept the priceless gift of God’s unconditional love? 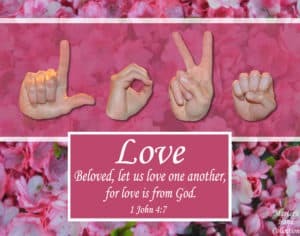 This is my sincere prayer for you… Mercy, peace, and love be multiplied to you. 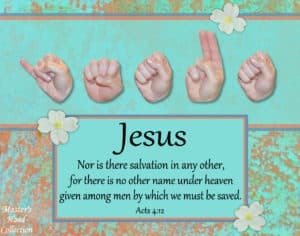 (Jude 2) In the name of our Lord, Jesus Christ. 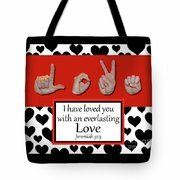 When you purchase any Master’s Hand Collection item, 10 percent of profits are donated to deaf ministries around the world. THANK YOU for helping to spread the gospel to this underserved community. 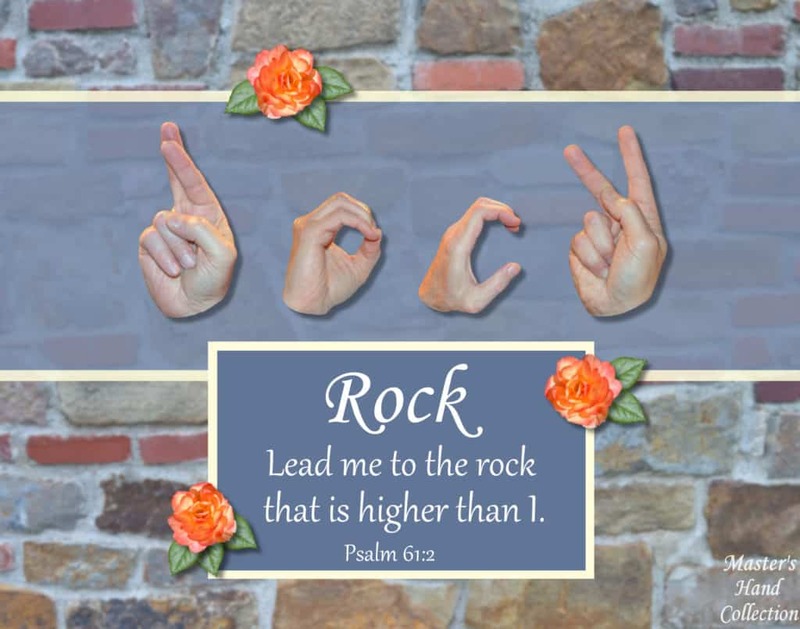 This Bible verse about God’s hand is Messianic in nature. When David wrote it, he was speaking of his difficult situation, on the run and in hiding. 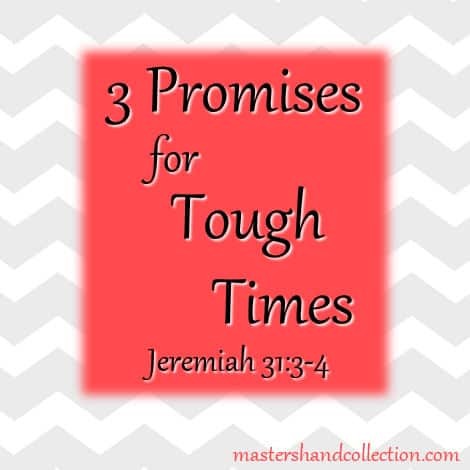 But the promise of this verse was fulfilled through the death and resurrection of our Savior. It’s an amazing picture of the sacrifice Jesus made for every one of us. 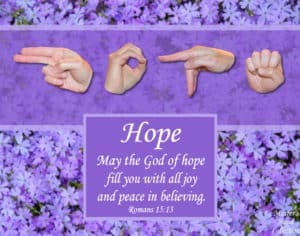 May you see God’s hand and the fulfillment of His promise in your life today! 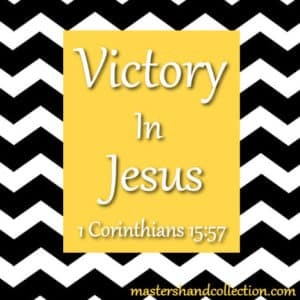 In this fast paced world we live in, it can seem like we are fighting a battle every day. 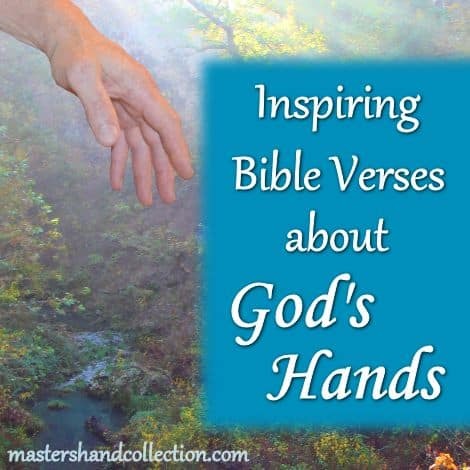 But this Bible verse about God’s hand gives us confidence in our Heavenly Father’s protection. 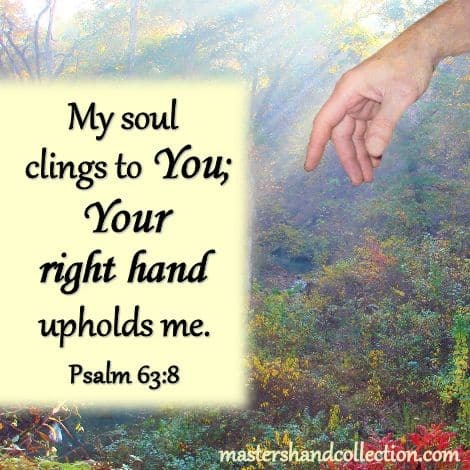 When the world is against us, God holds us up with His right hand, Jesus. 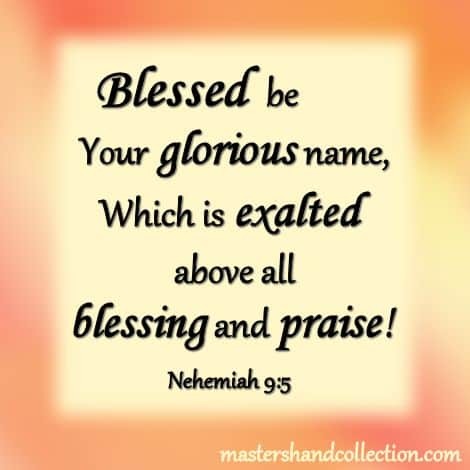 Celebrate the Name! and Buy the Book! 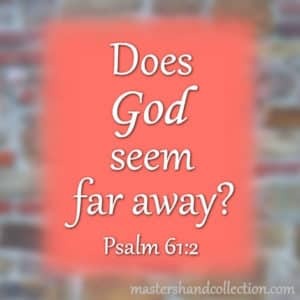 Does it seem like God has left you all alone to face the troubles of life by yourself? 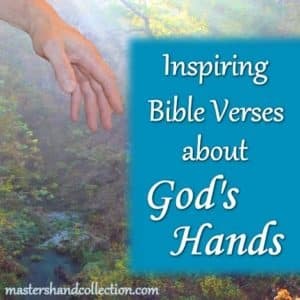 This Bible verse about God’s hand is a promise from Him. He has not forgotten you or abandoned you. 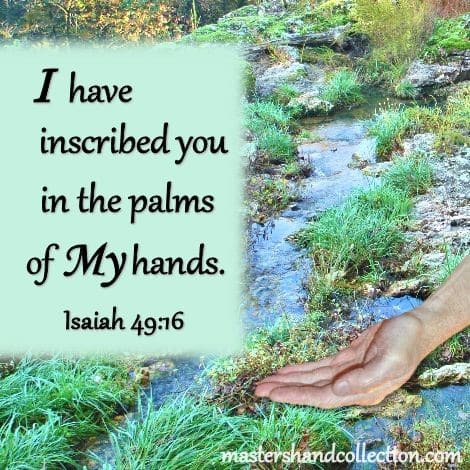 In fact God has inscribed you in the palm of His hand. Be encouraged, you are safe and secure in His protective hand. 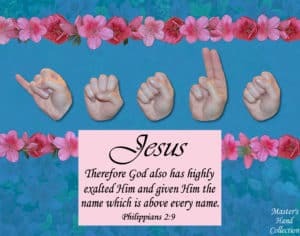 We all long to see God’s hand in our life. 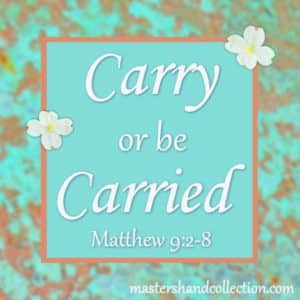 And to feel the safety that He provides. 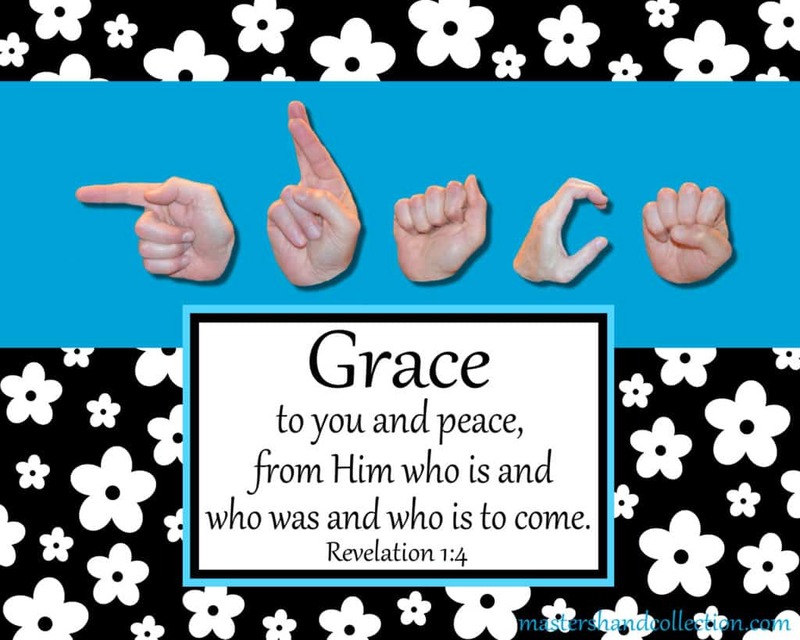 This Bible verse about God’s hand speaks to that need. 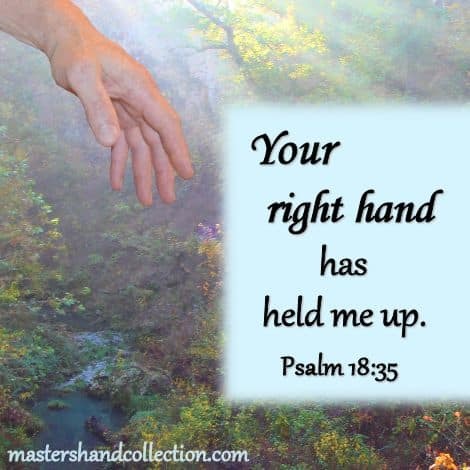 When we are weak God’s hand holds us up. When we are scared He gives a safe place of refuge. No matter what we are going through, God’s hand provides. 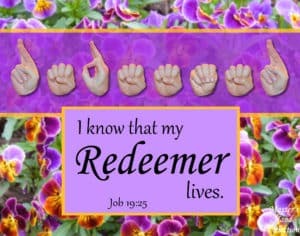 May you see His hand in your life today! When we think of the law, it usually brings to mind images of the police or a set of rules that we must comply with. If we don’t, then we have to accept the punishment that comes for noncompliance. But God’s law is different. For a Christian conforming to God’s law is a pleasure. It is something that we are happy to do because it brings us closer to a loving Father and ultimately the blessings that we receive from Him. 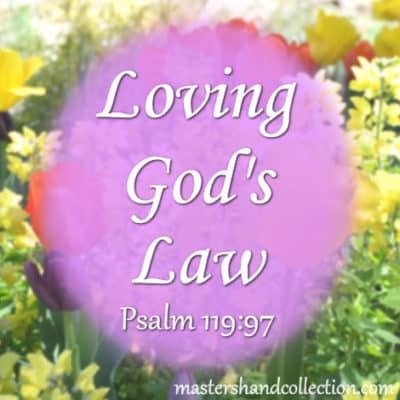 In Psalm 119, the psalmist continually talks about his love for the law and keeping the precepts of God’s word. 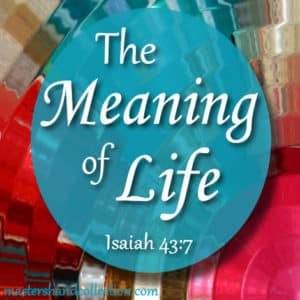 But what does this mean to us and how can we apply this to our lives? First, in order to love God’s law, we need to understand exactly what it is. 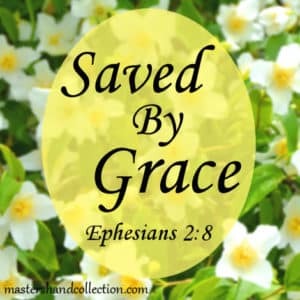 God’s law is a gift that He has given to those of us who are saved through belief in His Son, Jesus Christ. It’s not for everyone, only for us. 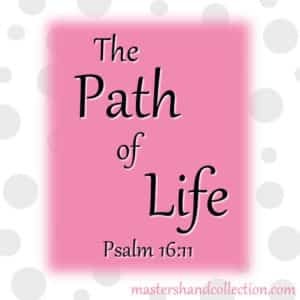 It is a set of instructions that gives us direction and teaches us how to live as God intended us to. God’s law is not meant to harm us or keep us from the things that we enjoy. 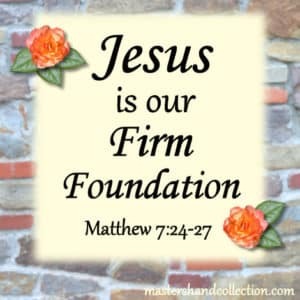 His law is for our benefit, to guide us, help us and keep us in alignment with His will. 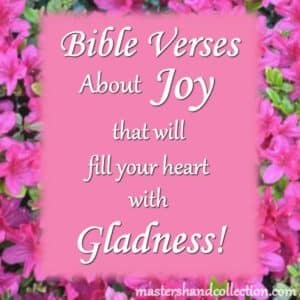 God has given us His law because He loves us and wants us to have joy and fulfillment in life. In return, we love God and want to live within His will. 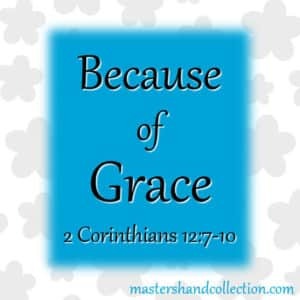 It is our love for God draws us to His law and our thankfulness for our salvation that attracts us to keeping it. Once we understand this truth, then we can begin to study His law and implement it in our lives. So, with that in mind let’s look at just a few of the many verses from Psalm 119. Here, the psalmist likens his love for God’s law to an animal panting for water. We only have to go a short time without water before we begin to feel thirsty, then start panting as we become more and more dehydrated. Just like the animal in Psalm 119, we can’t live without water any more than we can live without God’s law. We become thirsty for it, then more and more desperate to get it as time goes by. We long to have God’s law because we know deep down inside that we need it to survive. We can all relate to the craving for something sweet like cake or chocolate or as the psalmist said, honey. When that craving comes over you, it is all you can think about until you taste the sweetness in your mouth. You can’t get enough of it until that craving is satisfied. When we learn to love God’s law, we crave more of it and more of Him. We never get our fill of it, because there is always more to learn and more to experience. As I said earlier, God’s law is a set of instructions. I like to think of it as a roadmap for life. But even if you have the instructions you can’t get anywhere in the dark. So, we need a light to shine the way. Our source of light is God’s word and when the world is dark, God shines His light on our path and shows us the way. But the only way for us to have this light is to know God’s word inside and out. 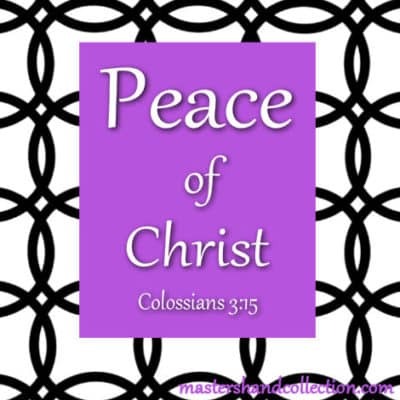 To memorize it, store it in our hearts and meditate on it daily. That brings us back to our original verse. The best way to grow your relationship with God is to read His word, meditate on it throughout the day and love His law. I’m just like you, I have struggles and days when I’m not as faithful to spend time with God that I know I should. I am guilty of putting God on the back burner when I get busy. But I do long for God’s law and His word. I want to spend more time with God and develop a deeper relationship with Him. 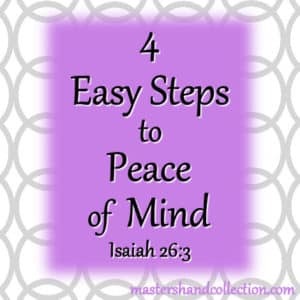 I encourage you to think about your relationship with God and the closeness that you feel or don’t feel with Him. He understands where you are right now and where you want to be. 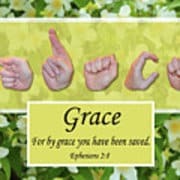 God is full of grace and understanding. He has given us His law so that we can have the relationship with Him that we were always meant to enjoy. 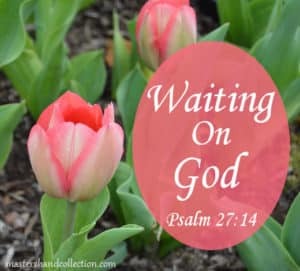 Through time reading God’s word and in prayer, He will teach us how to love His law and how to live within it. When we do, we will see His blessings. 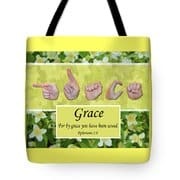 It is a shame that many do not understand the sweetness of His Word, you might like following Embracing Your Creativity. Thanks Rebecca! I’ll check it out. What a delight to read this post about a subject I love so dearly! I love God’s Word and studying it! I often hug my Bible when I am full of emotion about His Word. Have you ever felt like that? You feel overwhelmed with the sheer joy of having His written word that you can only hug it to express your love? Visiting from Faith Filled Friday. Yes, I love studying God’s Word and discovering all of the wonderful promises He has given us! 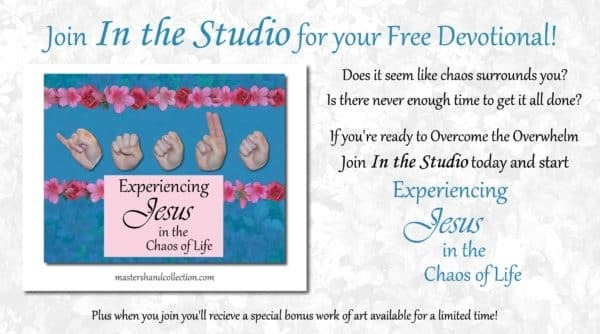 I usually feel like God is the one hugging me and giving me that joy you are talking about. It’s an amazing feeling when you can see God working in your life and showing you verses that speak directly to where you are right now. Thank you so much for visiting today. May God bless you! Life is going great, until it isn’t anymore. An unforeseen catastrophe hits you out of the blue and leaves you feeling blindsided. You don’t know what to do or where to turn. But there is help on the horizon if we know where to look. 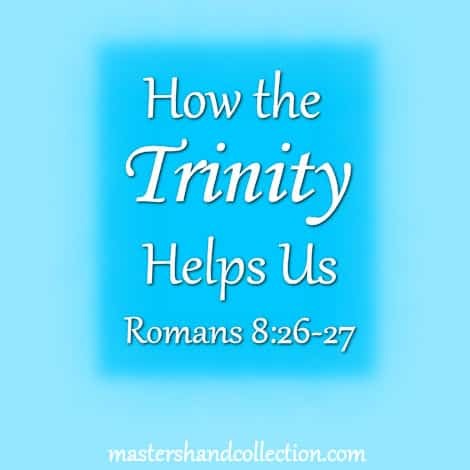 As Christians, the help we are looking for comes from the Trinity. 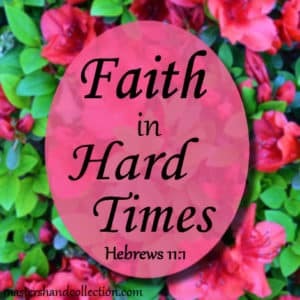 God knew that we would face hard times and He has not left us alone to face the crisis by ourselves. When we understand how each part of the Trinity helps us in our trouble, we can overcome any curve ball life throws at us. Likewise the Spirit also helps in our weakness. For we do not know what we should pray for as we ought, but the Holy Spirit Himself makes intercession for us with groanings which cannot be uttered. 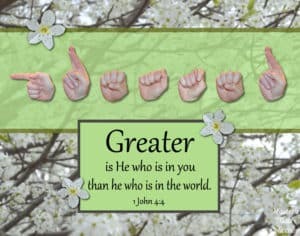 Now He who searches the hearts knows what the mind of the Spirit is because he makes intercession for the saints according to the will of God. We know we should pray. But there are times when the hurt is too deep and the crisis so overwhelming, that words just don’t come. We’ve all been there and that feeling of helplessness can leave us paralyzed. But this is when the Holy Spirit takes over and prays for us. On our behalf, the Holy Spirit approaches, God the Father, and seeks His will for our lives. 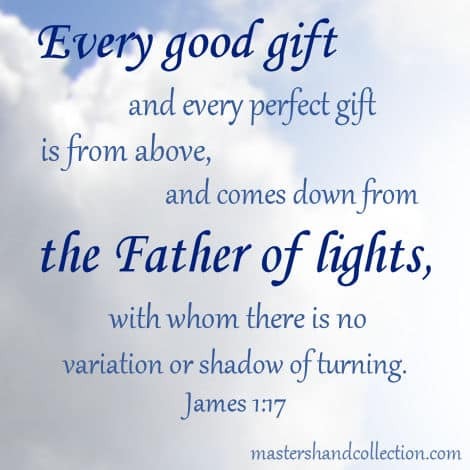 This is the gift that Jesus gave to us, the Holy Spirit, as our Helper and Counselor. When we no longer have the strength to pray and the words don’t come, the Spirit does it for us. It is Christ who died, and furthermore is also risen, who is even at the right hand of God, who also makes intercession for us. When Jesus died on the cross, our forgiveness of sin was secured. But now, as our risen Savior, He is seated at the right hand of the Father interceding on our behalf. Every day it seems that there is a new crisis in my life to conquer. And sometimes it leaves me feeling just plain worn out! So, when hard times hit and I feel weak, there is nothing more encouraging than to know that my Savior is interceding for me right now! God the Father is the source of our comfort. He is not blind to our plight. He knows our hearts and He sees our pain. God wants to comfort us and show us His mercy when we are hurt or troubled by the circumstances of life. 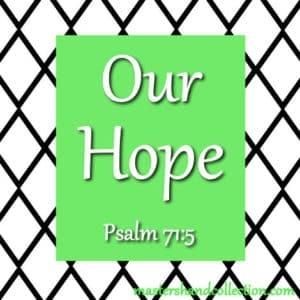 When we go through a hardship we learn a lot about God’s compassion for us. Then, when we see other people who are facing similar circumstances, we are able to comfort them. When we are hurt, weak or feel like we can’t go on anymore, the Trinity is there to comfort us, intercede on our behalf and pray for us when we are not able to. They are the place for us to turn to for strength when our strength is not enough. The love that the Trinity has for us is undeniable! No matter what you are facing today, the Father, Son and Holy Spirit are on your side. They will help you. Imagine being fifteen and pregnant, not knowing what would happen to you. Could you turn to your parents for support? Would the kids at school still be your friends, or would they give you judgmental stares? Would you have to face your future motherhood alone? 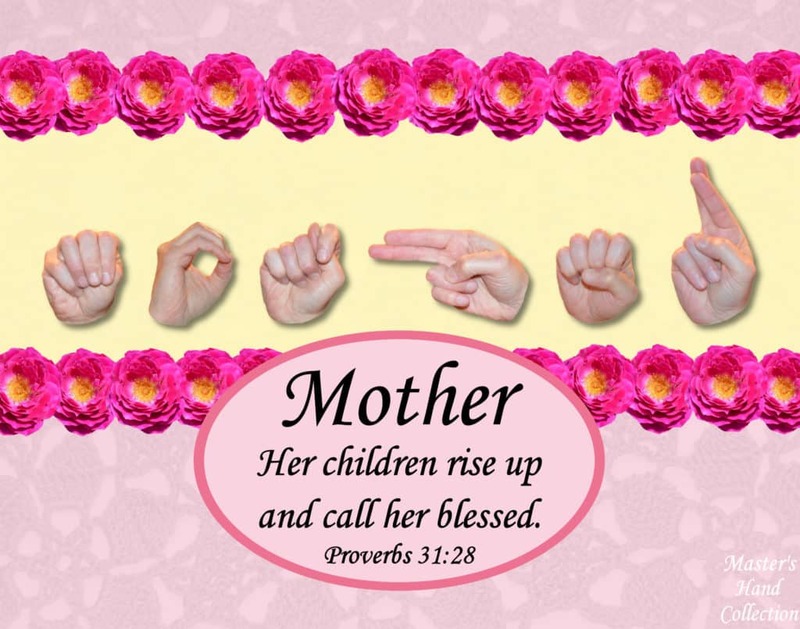 Mary, the mother of Jesus, faced a similar circumstance. As a betrothed young woman, showing up pregnant was a big no-no. She was under contract to marry Joseph, and a breach of that contract meant she would lose everything. Instead of judgmental stares from her classmates she would have been shamed in the public eye. Most likely, her husband would leave her and she would be an outcast for the rest of her life. Mary faced a very unsure future. 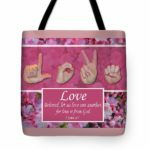 Even though it didn’t make any sense how she, a virgin, could conceive and give birth to a child, she believed all that God’s messenger, Gabriel, said to her with an open heart. In the midst of her dilemma, her faith was unshakeable. She knew that she could count on God to see her through because He is always reliable. She chose to trust God and to accept His plan for her life. At the same time that Mary was facing the news of her pregnancy, Joseph also had a choice to make. He could continue with his marriage to Mary, knowing that she was carrying a child that was not his, or he could cancel the marriage contract and leave her in disgrace. Being a godly man he chose to end the marriage quietly so that Mary’s life wouldn’t be ruined. But God intervened on Mary’s behalf and sent an angel to Joseph. Joseph believed what the angel said and took Mary as his wife. He chose to trust God and to continue on the path God put him on. Mary and Joseph both trusted God even when it didn’t make sense. They believed that God is faithful and that His plan would be fulfilled in their lives. They didn’t understand it all, but they chose to follow God anyway. Because of their faith God chose them to play a big part in the promised Messiah coming into this world and we are all blessed by their decision to follow God. Because of our faith in His Son, God has chosen us too! Just like Mary and Joseph, we each have a part to play in God’s amazing plan! Maybe you don’t understand everything that God has in store for you. Or, maybe there’s something He’s asked you to do that seems impossible. 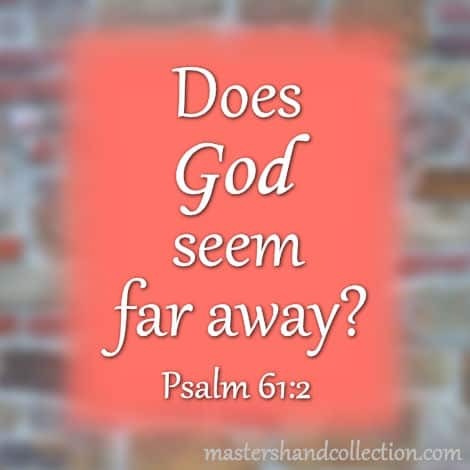 You want to follow God but you can’t see the way to do it. It’s okay if you don’t understand the big picture plan God has for you. Step out in faith the way Mary and Joseph did. Chose to trust God to lead you on the path and take that first step. He will give the next step, then the next one, and then the next. Eventually you’ll get to the place He wants you to be. 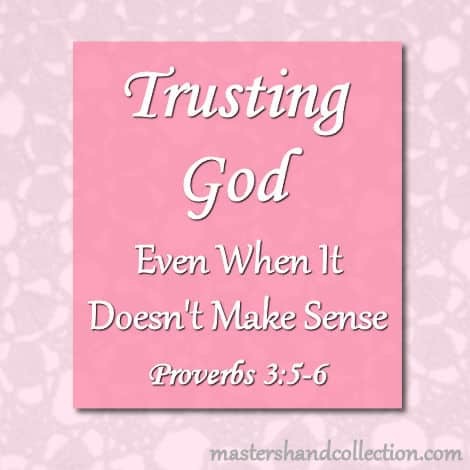 All it takes is trusting God even when it doesn’t make sense.